UPDATED: The Crew Dragon Capsule successfully docked with the International Space Station, where it was scheduled to stay for five days. 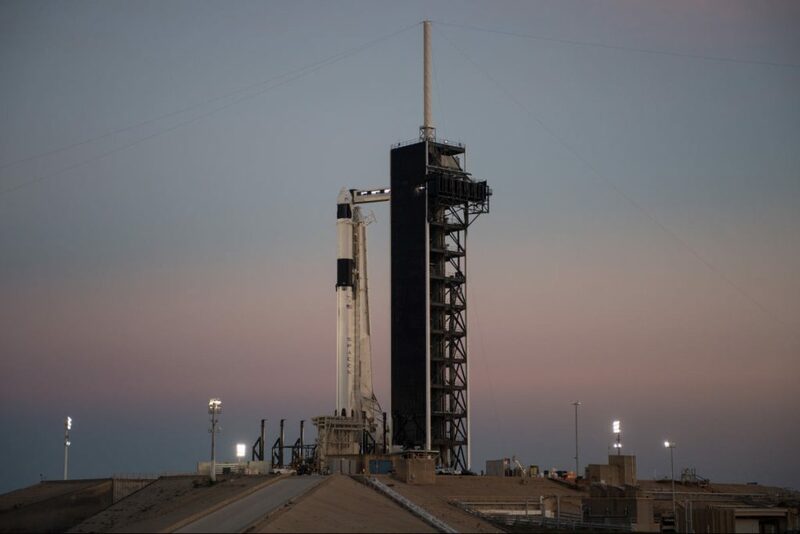 Scheduled for 2:49 am early Saturday morning, March 2, NASA plans to launch SpaceX’s Crew Dragon Capsule, a significant step in the developing partnerships between the United States government, through NASA, and commercial enterprises to send humans into space. Elon Musk in the early morning of March 1 shares a picture of Ripley being prepared for a ride to the International Space Station inside SpaceX’s Crew Dragon Capsule. (Photo: SpaceX/Twitter). 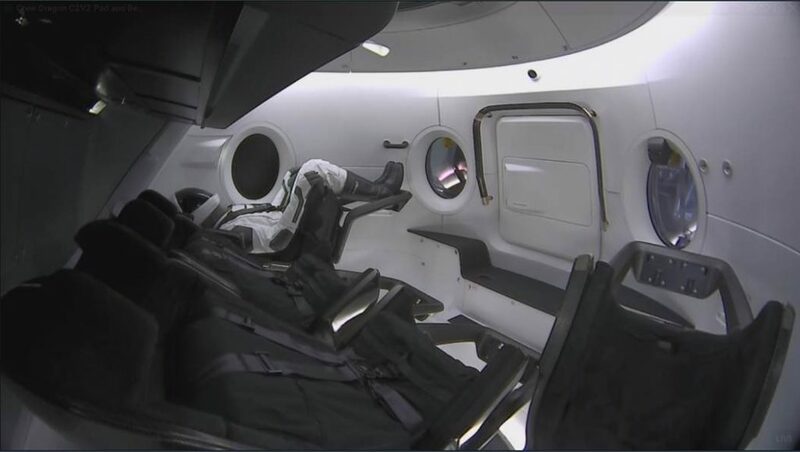 Elon Musk, founder and CEO, SpaceX, early Friday morning, as if climatizing for the Dragon’s uncrewed launch 24 hours away, used Twitter to distribute a monotone photo of a space-test dummy inside the Dragon Capsule, writing a single word – Ripley. Excluding the recent achievements of Virgin Galactic, America has not launched an astronaut into space from home soil since the country cancelled its Space Shuttle Program. The final Space Shuttle launch was on July 8, 2011 with NASA orbiter Atlantis. In canceling the program, NASA initiated a New Era in the commercialization of Low Earth Orbit (LEO) missions, captivating entrepreneurs like Musk, among a handful of corporate-backed leaders with the resources and vision. In December 2018, Richard Branson was on hand to watch SpaceShipTwo VSS Unity successfully reach the civilian-defined edge of space (50 miles) at 51.4 miles. SpaceShipTwo was put on an aggressive timetable, launching in April 2018 for its first test flight in more than three years, after a tragic accident on October 31, 2014, when SpaceShipTwo VSS Enterprise broke apart, killing co-pilot Michael Alsbury and injuring pilot Peter Siebold. In February 2019, Virgin Galactic held another primary test flight of VSS Unity, which reached 55.87 miles (89.9 km) and a speed of Mach 3.04. The Soyuz Spacecraft has been the only viable option to carry humans into space for around eight years. In 2013, a Soyuz took Canadian astronaut Chris Hadfield to the International Space Station; and, in early December 2018, McClain, Saint-Jacques and Kononenko. Shenzhou 5 was used for China’s first crewed mission in space in late 2003, which carried Yang Liwei into orbit for 21 hours. It made China the third nation to launch a human into orbit. China in 2018 unveiled a heavy-lift launch vehicle it is developing to carry a next-generation crewed spacecraft and power human spaceflight missions beyond Low Earth Orbit – akin to NASA’s under development Space Launch System and the Orion Spacecraft (capsule), which includes development from Lockheed Martin and Airbus. China is also preparing its launch vehicle for lunar missions. The Crew Dragon spacecraft’s Saturday morning launch, described by NASA as SpaceX Falcon 9 Demo-1, is scheduled to take place at Kennedy Space Center, Launch Complex 39A, in Merritt Island. Florida – about an hour outside of Orlando. SpaceX’s Crew Dragon will launch aboard a SpaceX Falcon 9 rocket. 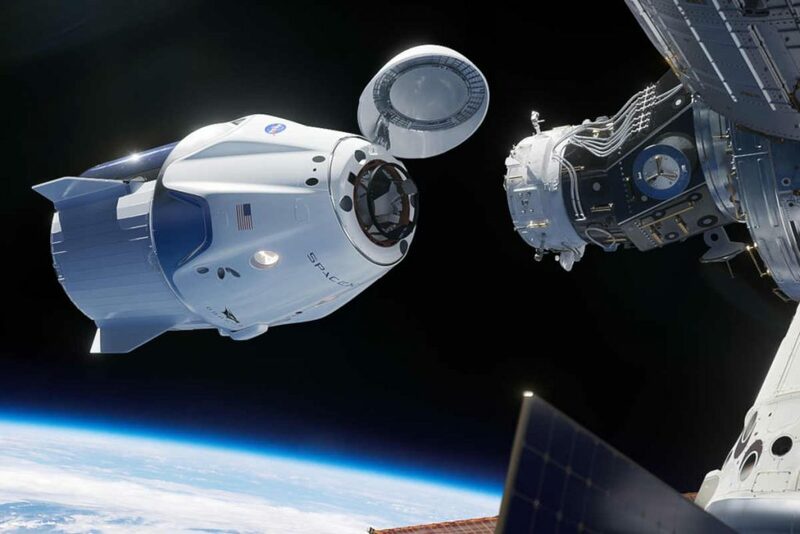 Under its Commercial Crew Program, the American space agency plans to use SpaceX’s Dragon, as well as Boeing’s CST-100 Starliner, to take astronauts to the International Space Station by 2019 or 2020. Crewed test flights are tentatively set for August 2019. Blue Origin is also in the mix of a corporations preparing for commercial-space contracts. 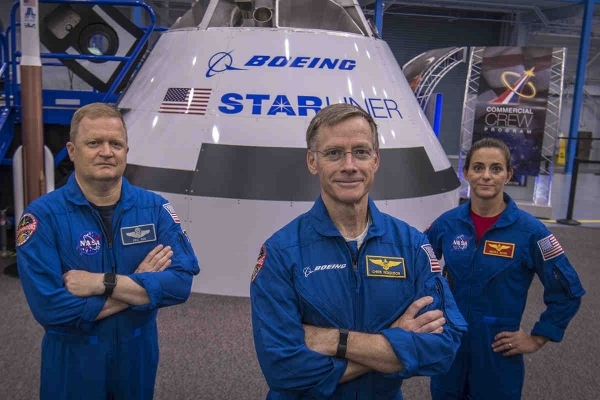 In August 2018, Chris Ferguson, who led the final mission of the Space Shuttle Program, was named as a lead commercial test pilot of the Boeing CST-100 Starliner spacecraft, designed to transport passengers and cargo to and from LEO. In September 2014, according Bloomberg News, NASA awarded Boeing and SpaceX a combined US$6.8 billion for ISS missions. As Musk and Boeing CEO Dennis Muilenburg in the late summer of 2018 challenged each other over who would be the first to send astronauts to Mars, a launch schedule released by NASA on August 2, 2018, suggests SpaceX would be first to send astronauts into LEO. SpaceX is set to fly Demo-2, its first crewed test flight, in April 2019, according to the released NASA schedule, and Boeing is slatted for its first crew test flight at some point in mid-2019. This suggests SpaceX will be the first company to carry astronauts to the ISS, but both companies still need to pass test flights and certainly a myriad of other certifications before any first crewed flights to the ISS. NASA Space Launch System aims to carry heavier loads and explore further out in the solar system, as private enterprises initially focus on newly available contracts for their LEO delivery vehicles. The latest NASA latest development around the Orion program was setting a June 2019 launch date to test the launch abort system of the Orion capsule. On the Boeing CST-100 Starliner, Ferguson will be joined by NASA astronauts Eric Boe and Nicole Mann. Ferguson, a native of Philadelphia, is a retired Navy captain, who piloted space shuttle Atlantis for STS-115, and commanded shuttle Endeavour on STS-126 and Atlantis for the final flight of the Space Shuttle Program, STS-135. He retired from NASA in 2011 and since that time has been an integral part of Boeing’s CST-100 Starliner program. He spent more than 40 days in space for NASA during his three shuttle missions. Boe came to NASA from the U.S. Air Force, where he was a fighter pilot and test pilot and rose to the rank of Colonel. He was selected as an astronaut in 2000 and piloted space shuttle Endeavour for the STS-126 mission and Discovery on its final flight, STS-133. Mann is a lieutenant colonel in the Marine Corps. She is an F/A-18 test pilot with more than 2,500 flight hours in more than 25 aircraft. Mann was selected as an astronaut in 2013. This will be her first trip to space.